It’s been an exciting month for Swoffers clients Michael and Sally Parks. 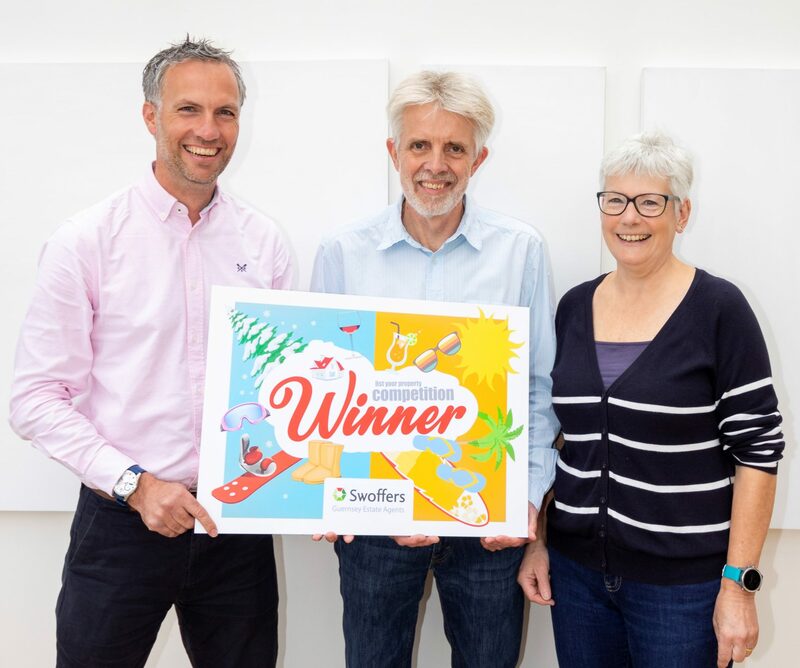 Not only did they agree the sale of their house just a matter of days after it went on the market, but they have also just been announced as winners of the Swoffers ‘List to Win a Holiday’ prize draw. The couple wins a £3,000 voucher from World Travel to spend on a holiday of their choice. ‘We were amazed, shocked and delighted when we found out we had won,’ says Mrs Parks. Mr & Mrs Parks praised the work of the Swoffers team in managing their house sale. They were particularly surprised at the immediate impact posting the property on social media had with their property receiving lots of interest. ‘We have been very impressed with the professionalism, friendliness, approachability and most of all the enthusiasm of the Swoffers team,’ says Mrs Parks. ‘More than 500 people were eligible to win our competition and Mr & Mrs Parks were the first names out of the hat,’ says Swoffers Director Andre Austin. Pictured above Swoffers Local Market Negotiator Scott Ingrouille hands over the prize holiday to winners Michael and Sally Parks.